After sketching the slipper, I tried deciding between words or doodles or something to frame the shoe. Cinderella very much enjoys the outdoors, and finds refuge in nature. She's often with her animals, in her garden, and of course the pumpkin patch offers her the means to attend the King's Royal Ball! 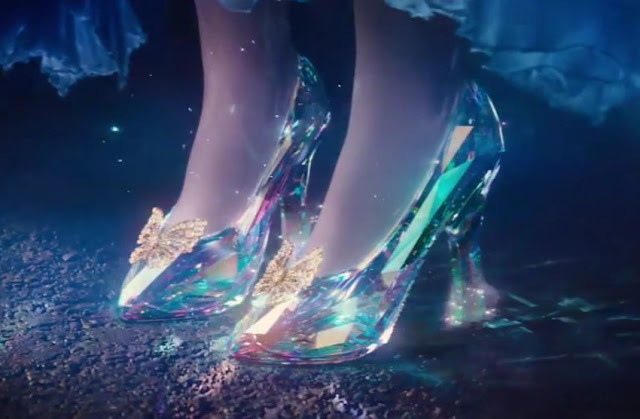 This served as inspiration for the framework around the slipper. 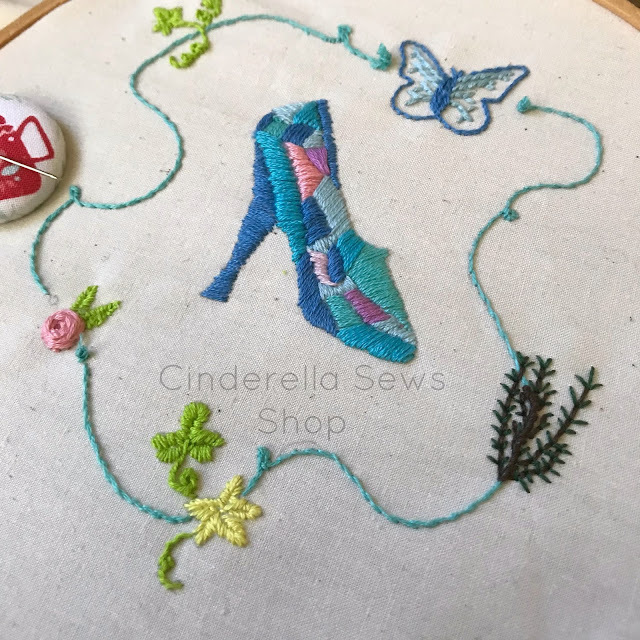 This pattern features pumpkin leaves, blossoms, and vines, a wagon wheel rose, and rosemary--an herb often associated with protection, remembrance, love, and loyalty--perfect for Cinderella's story. Finally, the butterfly is a symbol of transformation that is a running visual theme throughout Disney's live-action Cinderella. . If you haven't seen my "Have Courage and Be Kind" post and pattern, discussing the movie further, you can find it here. 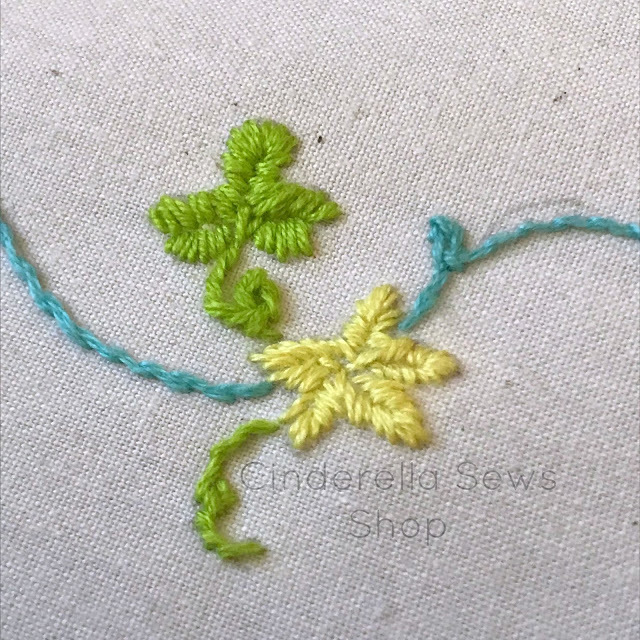 As far as my leaf stitch goes, it's a little more bohemian than traditional leaf stitches. I like free-hand embroidery, zentangle embroidery, and shabby piecing together of fabric and textiles. A little free spirit, a little Mother Nature, and a whole 'lotta girly describes my personal style. If the Video is being silly, you can open it in your YouTube app by clicking here. If you make any of my patterns, I'd love to see your handiwork! Be sure to tag me on Instagram @cinderellasews, post to my Facebook page, or add a tried it photo to Pinterest! I felt deeply interested in reading the informative articles at Sewingiscool.com because it helped me to learn the basics of sewing.